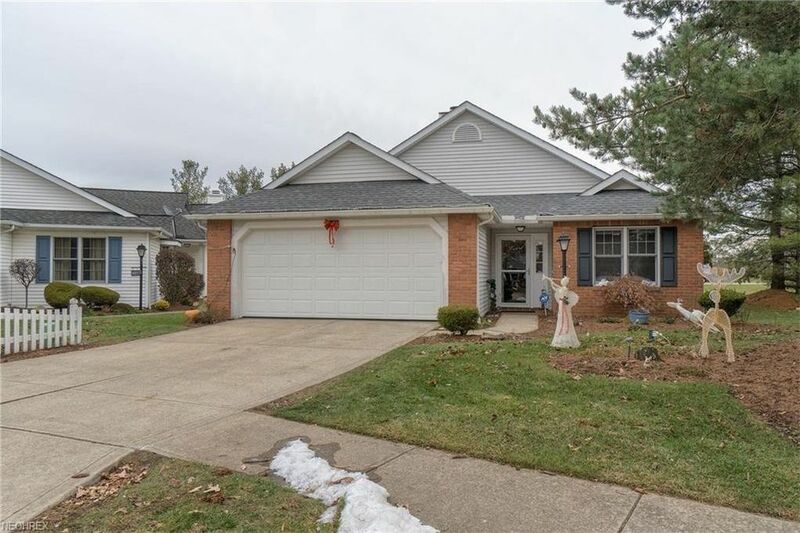 Free Standing Ranch Cluster Home Located at end of Cul-de-Sac! Backs to Wooded Greenbelt (no close neighbors behind)! Nearly Everything is New* (within 3 years): New* Roof including Gutters, Downspouts and 3 Skylights; New* Hi-Ef Gas Furnace; New* Central Air Conditioning; New* Kitchen Granite Counters; New* Kitchen Upgraded Stainless Steel Appliances, Stove, Fridge, Dishwasher and Microwave; Newly* Remodeled Baths Granite Vanities and Ceramic Tiled Step in Shower in Master; New* Garage Door; New* Storm Doors; New* Most All Light Fixtures; New* Faucets and New* Black Out Blinds! Well More than the Asking Price is Invested! Fireplace in Great Room! Third Bedroom Could be a Den! Large Walk-in Pantry and Spacious Laundry Room! Fantastic 10x8 Covered Patio! Concord Meadows Cluster Assn is low at $60/mo covers Landscaping, Grass Cutting, Snow Removal Including Driveway and Sidewalk! And the Annual Concord Meadow Assn Covers Taxes and Upkeep on Greenbelt Areas and Lakes with Access to North Park!